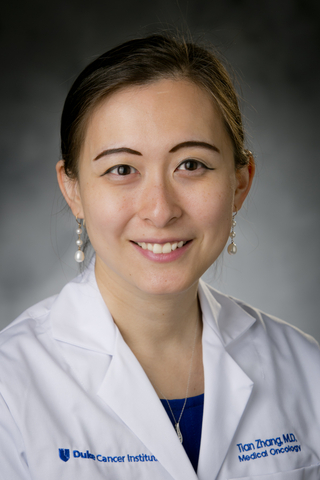 I am a medical oncologist specializing in caring for patients with genitourinary cancers, including kidney, bladder, prostate, and testicular cancers. My interest in oncology stems from an early passion for biochemistry, the special connection formed between oncologists and our patients, and the exciting novel therapies that are emerging in cancer treatments. I partner with my patients to help them make informed decisions regarding management of their cancers. I work closely with my urology and radiation oncology colleagues in a multidisciplinary setting. My research interests involve developing novel cancer therapeutics and biomarkers. I have spearheaded projects on circulating tumor cells as biomarkers, and I actively participate in our dynamic clinical research program in GU oncology. We work on a spectrum of clinical studies, learning from our patients at molecular/cellular levels in biomarker studies, to learning about disease/population responses from clinical trials using new cancer therapies. Our ultimate goal is to improve cancer care for our patients.